“In this sense, the meeting with young people is of particular importance," Ahmadov added. 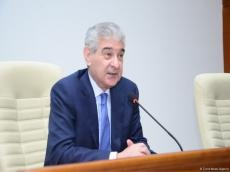 “The youth also made a significant contribution to the successful completion of election campaigns in Azerbaijan,” Ahmadov said. “Thus, the youth will be able to actively participate in the country’s public and political life,” Ahmadov added.